The CAD for H1 FY18-19 was at USD (-) 34.94 billion, against USD (-) 48.72 billion for the complete FY2017-18. If the Indian rupee crosses the 74.50 level, then it is very likely that the domestic unit will depreciate further towards the 78 level in 2019. 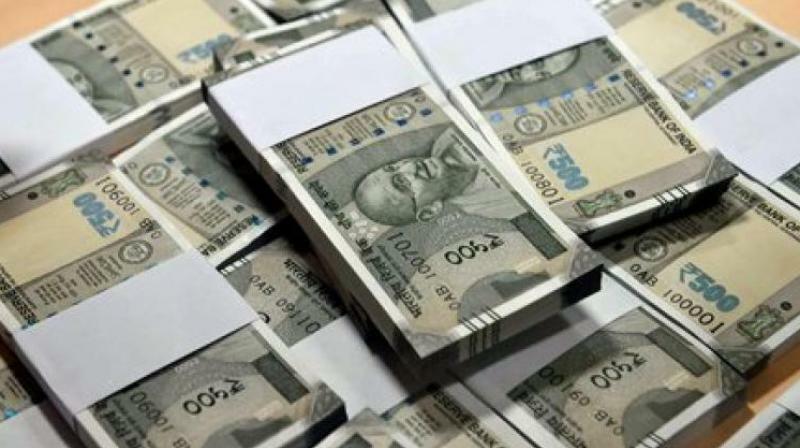 New Delhi: The rupee may depreciate to 78 per US dollar this year, largely owing to widening fiscal and current account deficits, which are the biggest pain points for the domestic currency. "USD/rupee is expected to move higher with a base of 68 to 69.50, with an upside at 73.70-74.50," Ramesh Varakhedkar CEO Commodities and Currencies at Karvy told reporters. "If continued at a similar pace, FY18-19 CAD could be the widest in Indian history," the report noted. Meanwhile, the BOP for H1 FY19 is at USD (-) 13.20 billion, the first negative BOP since 2011-12 and just a third in the last 20 financial years. The widest BOP of USD (-) 20.08 billion was reported in FY09 when global economy was hit by a financial crisis. Varakhedkar further noted that 2019 is expected to be the year of bullion where gold and silver are likely to be outperformers on increased safe asset buying. The report further noted that it would be roller coaster ride for crude oil in 2019 as Opec and Russia have resorted to a production cut; while on the other hand, US is increasing its production. Further, copper and aluminium prices are expected to trade on a weaker note, while cotton prices are expected to remain firm this year due to tighter supply situation.